Travelers looking for a day trip from Lisbon do not need to look any further than, Sintra, Portugal. Located in the Sintra Municipality and Lisbon region of Portugal, Sintra is about 20 km (14 miles) from Lisbon. Trains to Sintra leave from Lisbon’s Rossio and Roma stations frequently, sometimes as often as every fifteen minutes. Train trips only take about forty minutes as does driving. Although it is best to stay overnight in order to fully experience all Sintra offers, it is possible to see one or two palaces within a day. Staying in one of many Lisbon apartments? 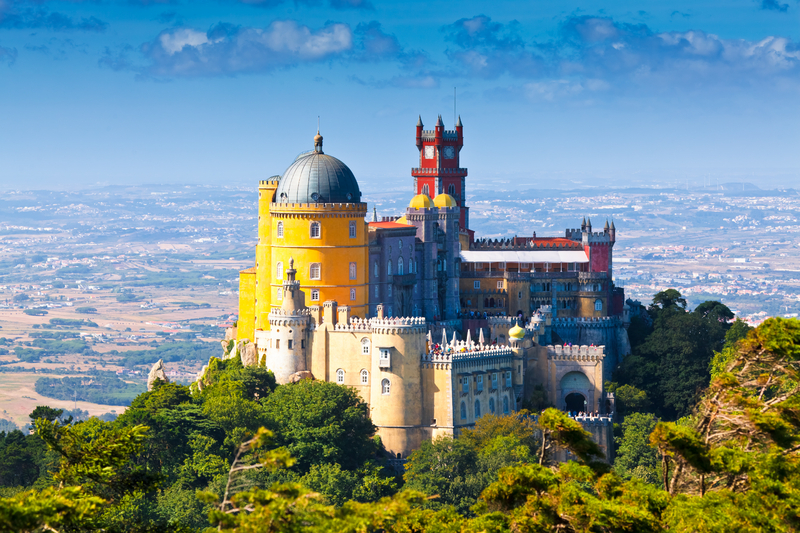 multiple day trips to Sintra are possible with the towns easy access from Lisbon. 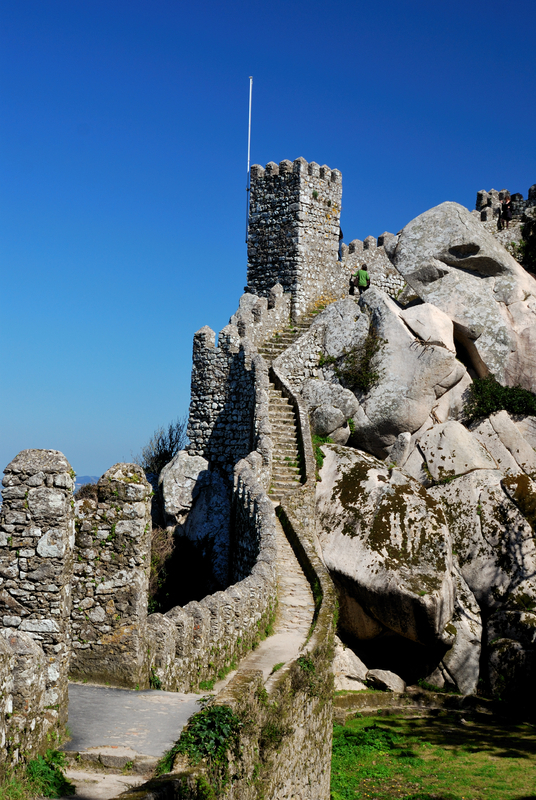 The UNESCO World Heritage Site of Sintra is an ideal place for those who want to go to a fairy tale destination. It is complete with extravagant palaces, extensive villas and breathtaking vistas. One of the most popular sites in Sintra is the estate of Quinta da Regaleira. Within the estate lies a Roman Catholic chapel, a five floor palace and a massive park that consists of grottoes, wells and lakes. The estate reflects four different architectural styles: Renaissance, Romantic, Gothic and Manueline. It is also known as, “Palace of Monteiro the Millionaire,” after its first owner. Guided tours of the Quinta da Regaleira are available. The Pena, Monserrate and Seteais palaces are also popular sites to visit in Sintra, and all are near Quinta da Regaleira. The gardens of the Seteais Palace host the annual Noites de Bailado festival every summer and overlook Pena Palace. Seteais was converted into a luxury hotel in 1955. Standing near Seteais is Monserrate Palace. The exotic villa was once the summer resort of the Portuguese court, but now there are plans to turn it into a museum. Finally, the Pena National Palace is probably Sintra’s most popular destination and considered one of the Seven Wonders of Portugal. It sits on a hill overlooking the town, and can be seen from Lisbon on a clear day.It is a beautiful example of 19th century Romanticism architecture. The palace is filled with artifacts that once belonged to Portuguese royalty, including Edwardian furniture, paintings, porcelain and ornaments. The building includes extravagant structures such as turrets, domes, a bastion, and even a drawbridge. Pena Park, which is full of exotic plant life, surrounds the palace. In addition to fairy tale castles, Sintra has a bar and restaurant scene with options for every diner. The most popular dining spots are located near the main square. Many restaurants, such as Lawrence’s Restaurant, offer traditional Spanish and Portuguese cuisine, especially sea food. Shrimp and rice, grilled octopus and fish fillets are popular Portuguese dishes. There are also restaurants, such as Lojo do Vinho, that serve Spanish and Portuguese wines. The vegetarian-friendly cafe, Casa Bernardo, and even the Japanese restaurant, Midori can also be found in Sintra. Whether looking for chic, upscale dining with Spanish wine, child-friendly restaurants or even sushi, Sintra has something to offer. From palaces, to gardens, to elaborate chapels, Sintra is the perfect location for those wishing to be whisked away on a fairy tale holiday.As you head back to your hotel or apartments in Lisbon you will be longing for a return visit to this magical city.